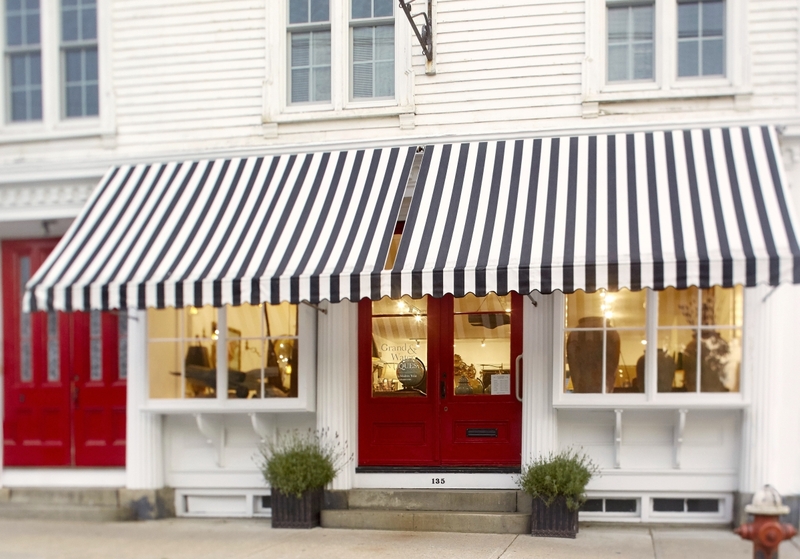 With many antiques shops now gone and fewer still keeping regular hours, we turned to Deborah Norman, the warm, gracious proprietor of Grand & Water Antiques in Stonington, Conn., for insight into what makes a shop successful in the internet age. In Norman’s case, the answer is a picturesque location, steady foot traffic, a talent for display, fresh merchandise and a keen understanding of her clientele. Norman – the great-granddaughter of Antiques Magazine contributor Ada R. Chase and granddaughter of Norwich, Conn., dealer Virginia Albertine – has adapted with the times in the 25 years she has been in business. 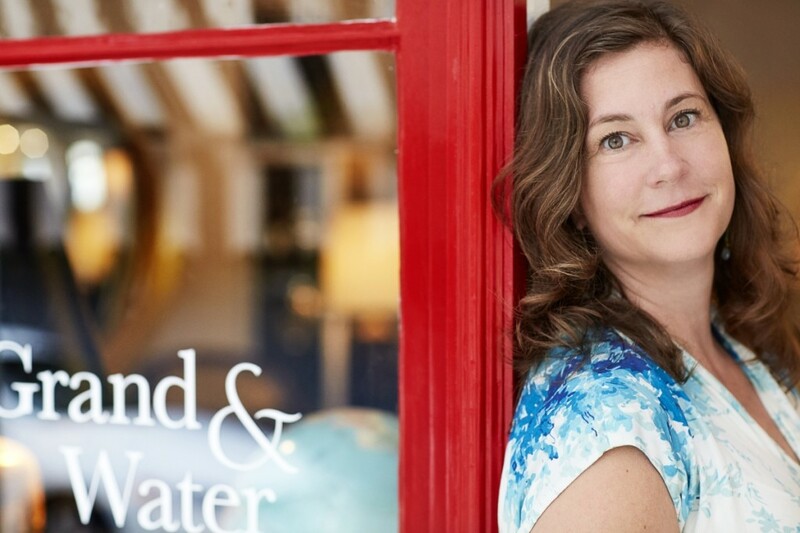 Her latest venture, with friend Karen von Ruffer Hills, is Grand & Water Too, offering antiques-friendly redesign, staging and project management services to collectors, homeowners and real estate professionals. How and when did you get into the antiques business? I came home from college, where I’d studied history, and announced I was going to become an antiques dealer. I think my mother hoped I’d follow the other side of our family and become a lawyer. I worked for Orkney & Yost and Marguerite Riordan Antiques before joining Grand & Water, where I eventually bought out my business partners. How long has your business been on Water Street, the commercial thoroughfare of what many consider Connecticut’s most charming village? Always. I moved a few buildings up the block for about ten years, then came back to my original location at the corner of Grand and Water Streets about three years ago. Who says you can’t go home? What’s the secret to keeping an open shop? Grit! An appealing environment brings people in. I buy locally, so I often have a story about my objects. Telling people the history of a piece and watching them fall in love is, I think, the best part of being an antiques dealer. We’re passing along history. Very. From January through May it’s quiet. However, being in a magical little village makes up for it during the summer months. The fall is actually a busy time, too. How much of your business is consignment? You must have an internet presence. A website is like a business card. I’ve sold through large platforms like One Kings Lane and 1stdibs, but to do it well, you must devote a lot of time to it. The majority of my sales are in the shop. I also do well on Instagram. Thoughts on engaging young people? How have you adapted your business to the times? What prompted you to launch your redesign and staging business? Who is your clientele? In that I was always asked about furniture placement, fabrics and color ideas, a redesign business was a natural fit for me. It really got going after a realtor asked me to stage a house. The house sold within a week and Grand & Water Too was born. My friend Karen joined me, and together we’ve had many house staging jobs and redesign projects. What’s unique is that we include antiques. Putting old and new pieces together makes for a very interesting design look. It’s not just monochromatic or hotel chic. We keep it clean and simple, but antiques provide authenticity. Barbara Streisand and former Senator Chris Dodd. It’s a long story! I once dealt with a lovely couple whose basement was filled with trunks of incredible silver, porcelains, textiles and jewelry. It was as if I’d walked into Aladdin’s Cave. Stonington has been known over the years for its writers and artists, among them poets James Merrill (1926-1995) and J.D. McClatchy (1945-2018), garden writer Eleanor Perenyi (1918-2009), photographer Rollie McKenna (1918-2003) and graphic designer Chip Kidd (b 1964). Any great characters you’ve met? The borough is full of great characters, the best of whom are quiet and always take me by surprise. Grand & Water Antiques is at 135 Water Street in the borough of Stonington, Conn. To read more about Deb, Karen and their new redesign and staging service, go to www.grandandwater.com.